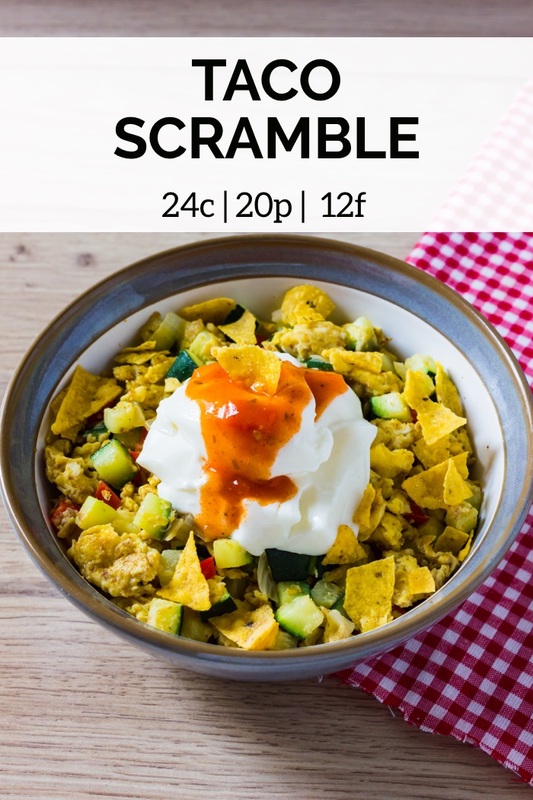 This taco scramble recipe is a great way to add flavor to your scrambled eggs while also adding more nutrition with some fresh veggies. This can be made as spicy as you like without impacting your macro counts. Scrambled eggs with a twist. Spray a nonstick skillet lightly with cooking spray. Gently sauté zucchini, peppers, and onion until tender. Add eggs, taco seasoning, and then scramble. 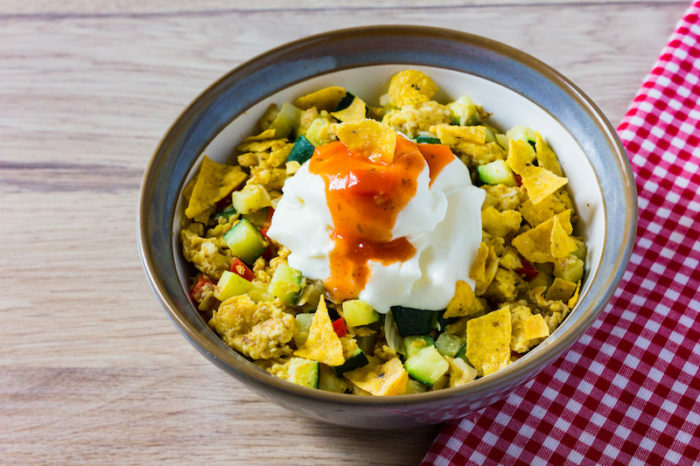 Once eggs have cooked, place them in bowl and top with Greek yogurt, taco sauce, and crumbled tortilla chips.